In 2013 I made a permaculture design for my garden, which was implemented at the end of the year. Now that I'm leaving this garden, I thought it would be useful to review the design. Did the design work? What was it's flaws? Are there any learning points that I can take with me when I design my next garden? Well yes. And no. First the yes. 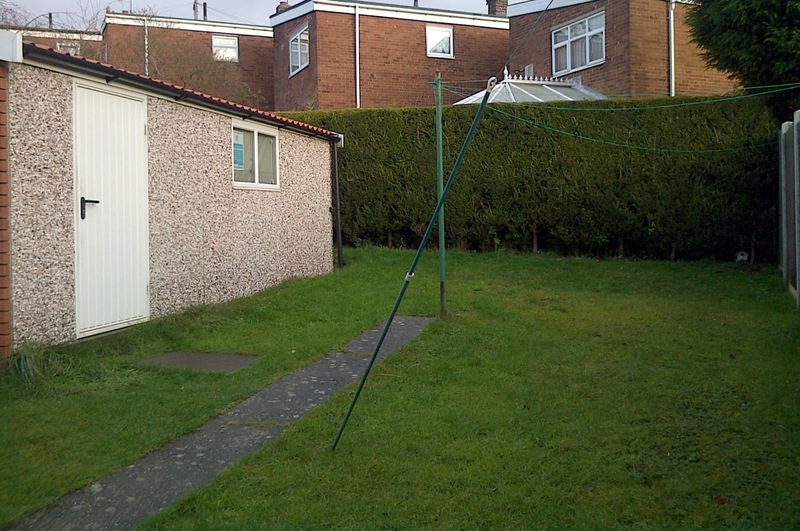 The garden is a small urban, east-facing garden measuring approximately 12m x 4.5m. 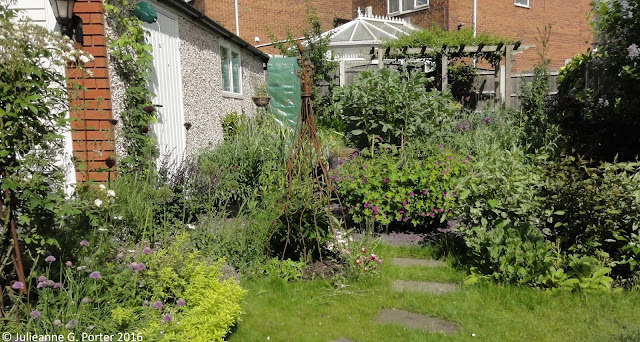 It was just grass and leylandii when we moved in, and the aim was to turn it into a small productive kitchen garden with borders for ornamentals, herbs and a few fruit trees. I observed the garden throughout 2013, monitoring light and shadows, looking at the soil (heavy acid clay!) and thinking about how I could put in a rainwater collection system. I decided on the layout in November and the design was implemented in December. I hired a landscape gardener to do all the hard landscaping, and then I took it from there. 2014 was my first full growing season with the new design. Having spent 2013 observing and recording, via photos, how the sun moved across the garden, I saw just how well that work paid off. The height of the two long raised beds, 45cms high, meant that these beds captured 6 hours of sunlight a day from April to September, plus a few hours each day March and October. From November to February there was limited sunlight, and one long bed was closer to the north-facing (right) side of the garden, so I only ever grew veg like courgettes and tomatoes in the single beds (next to the garage) or the middle long bed, which got good sunlight from March to October. This may seem a lot of detail, but it was really important as it extended my growing season in that part of the kitchen garden by 6-8 weeks. Given the aim to maximise the space in which edibles could grow, the design was a success. 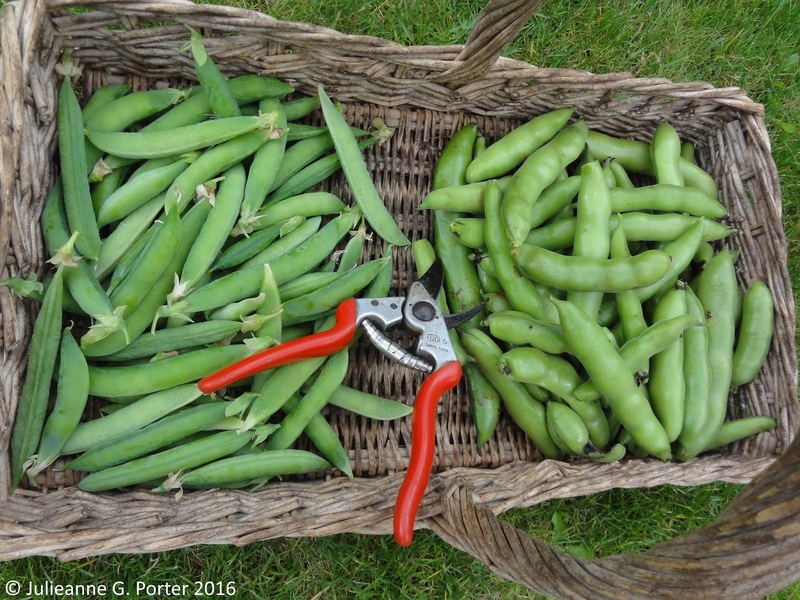 In 2014 and 2015 I grew a mix of veg, including potatoes, tomatoes, pumpkin, courgettes, parsnips, carrots, broad beans, kohl rabi, fennel, sorrel, French beans and brassicas. I also had strawberries and plenty of herbs. My young fruit trees, Morello Cherry, Damson, Greengage, grapevine, and Quince in the front garden, settled in well, though it was 2016 before I got my first crop of Damson and Morello Cherry. This was expected as they were only young trees when planted. The Greengage and grapevine haven't yet fruited; I suspect they will this year, once I've moved! And the Quince started developing fruits twice, but then they dropped before being fully grown, possibly because they needed more watering than I gave them. 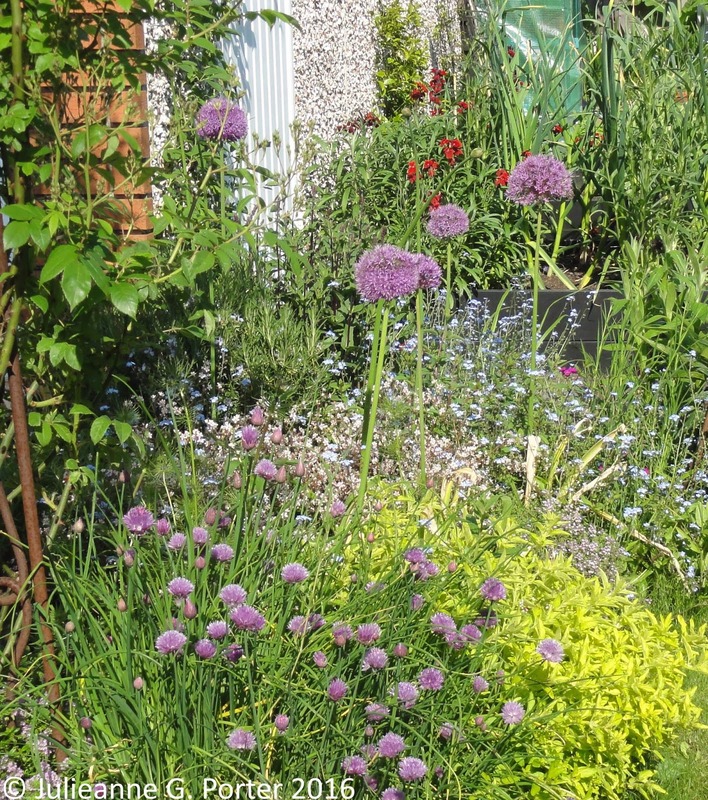 The ornamental borders, with a mix of perennials and some annuals, offered lots of beauty for me and plenty of nectar for bees, hoverflies and butterflies. In this context, I achieved what I set out to do when I implemented the design. However, there is a 'but'. What were the flaws of the design? one area of the Long Shady Border (ornamental) became waterlogged, to the point that water was sitting on the surface for weeks. After some investigating we worked out the problem derived from the water collected from the garage roof. 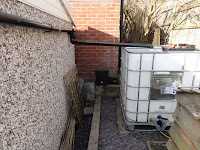 The previous owners had put in guttering and downpipes, but nowhere for the water collected to be directed. So it just increased the water table until it collected in what turned out to be the lowest point in the garden. Whilst we had known the garden was on a bit of a slope and had it more leveled out when we got the landscaping done, because it hadn't rained heavily during 2013, we hadn't be able to observe how the water would move across, and then sit in the lowest point. 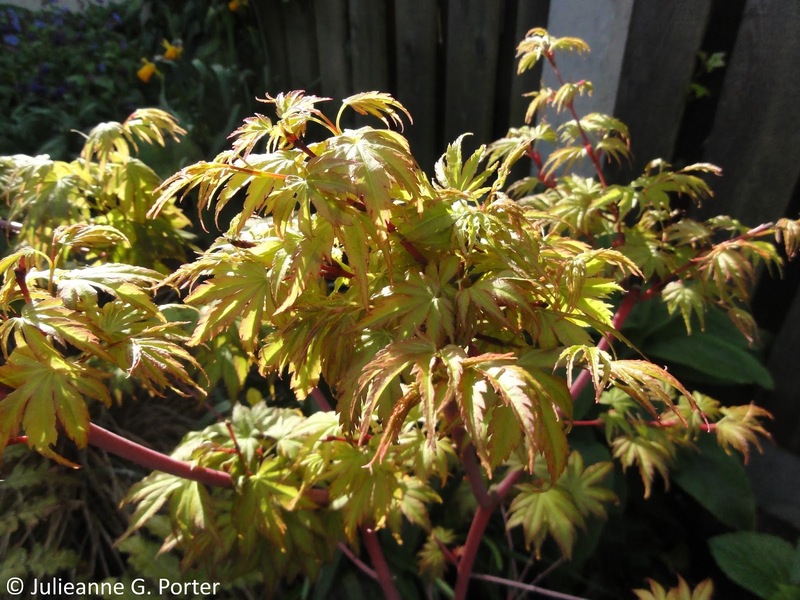 Some plants had to be quickly moved, such as Acer Palmatum 'Sango-kaku' and Heuchera, who would rot in these conditions. Some, such as Polemonium caerulem, Astrantia 'Hapsden Blood' and Amsonia tabernaemontana didn't mind having their feet wet, so stayed and thrived. In fact I turned the problem into a solution, by making that area a bog garden. 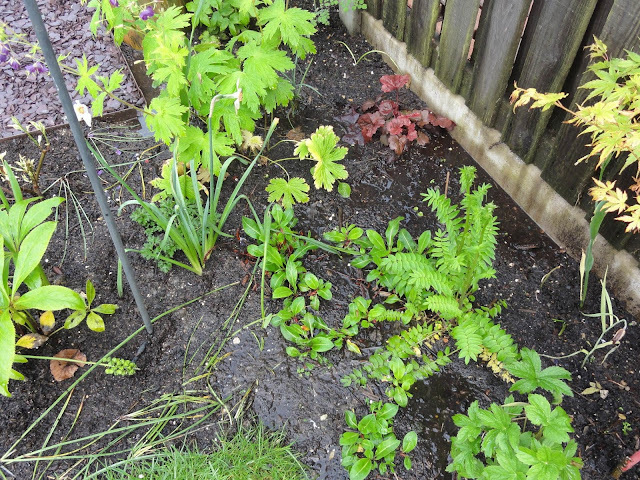 I added in some plants such as Ligularia and Iris sibirica which liked wet roots. 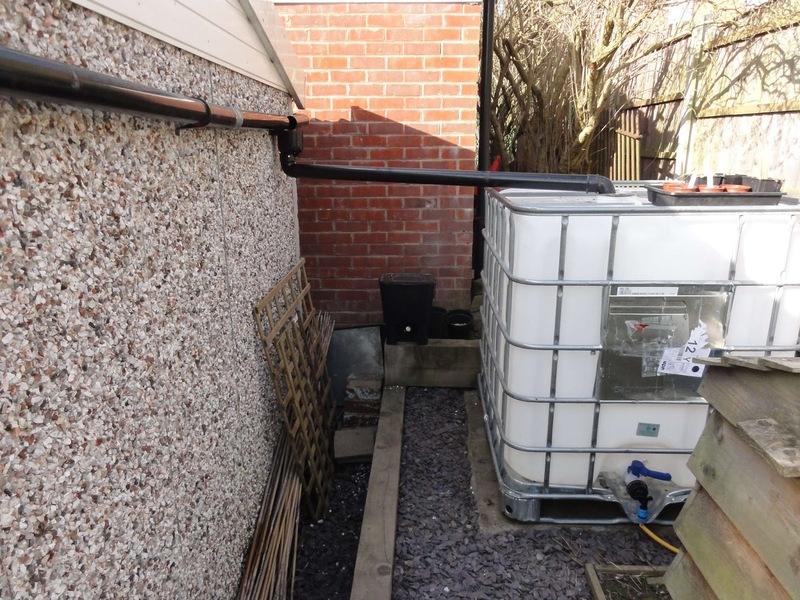 Ironically, once I finally had the funds in early 2016 to put in a 1000 litre rainwater collection tank (right), which took water that fell onto the garage roof, the waterlogging problem was largely removed. 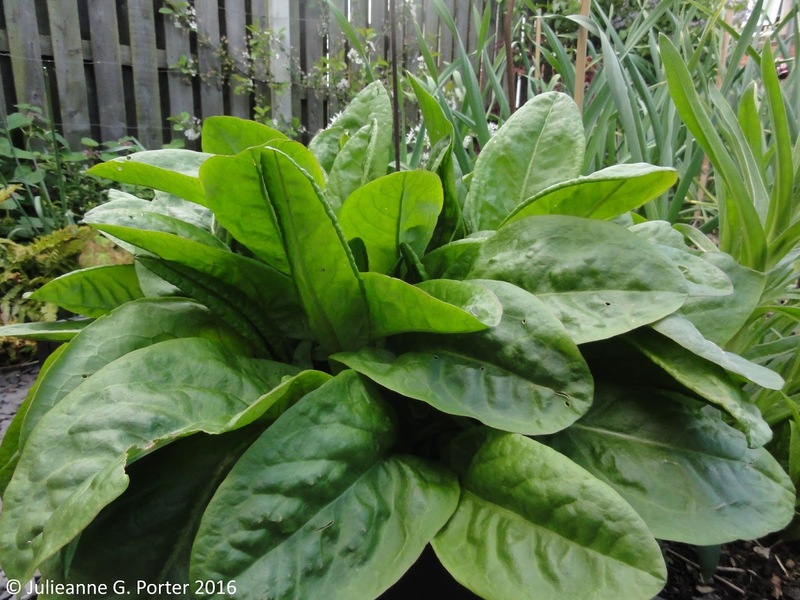 It's still a damp area, but no longer waterlogged, and boggy shade-loving plants thrive. The waterlogging was a problem that I was able to resolve. The second problem, however, didn't have an easy solution. I was diagnosed with the chronic illness, ME (Myalgic Encephalopathy), in June 2013, although we later realised that I had probably had it for many years previously, slow onset ME. The key symptoms I have include: severe and debilitating fatigue, painful muscles and joints, disordered sleep, and poor memory and concentration. It was in 2012/13 that it was really making life difficult, and by 2013 I had stopped working. As yet, there is no cure for ME. 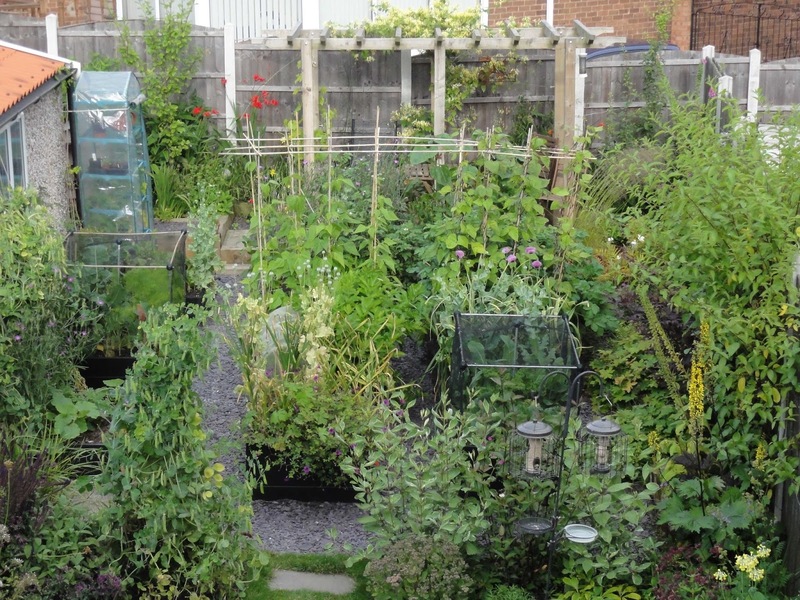 When I designed the garden, I designed it to maximise growing food. This was my focus, to the point, I realise now, that I had tunnel vision. Everything was about growing food, and I didn't at all think about how my health might impact on my ability to garden. I knew intellectually and physically, I had ME, of course, but at this point I was still in denial about quite how much the illness was effecting my life. I had stopped paid work, but that had been partially planned in our move from Oxford to Sheffield. We made a lifestyle change, moving North where houses are cheaper, having a couple of years to take a bit of a break before returning to full-time work. The idea had been for me to explore gardening/growing-related options during the period. This didn't get very far, as I found I had little energy for doing even the most basic daily tasks. When taking a shower exhausts you for hours, you have a problem. By October 2014 I realised the problem was really effecting my ability to garden. I had lots of French Beans to pick. 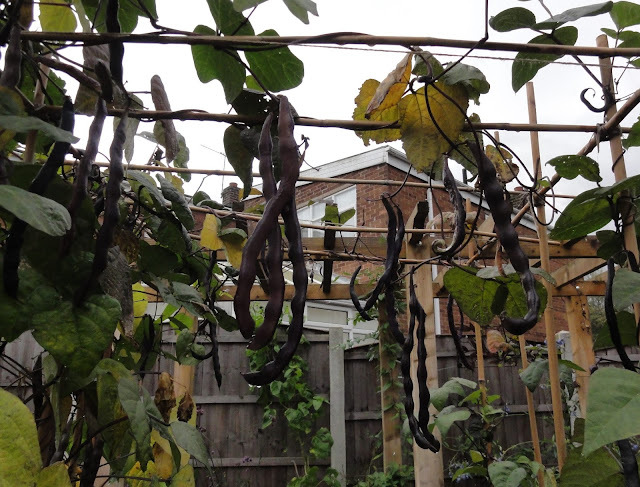 In fact it was one of my best years growing Climbing French Beans. But I had no energy to pick them. They ended up sitting on the canes, going to seed. I was struggling to keep up with all the gardening tasks and getting quite stressed about it. Because I had so little energy, I focused what little I had on growing veg, and left the rest of the garden to itself. Some plants didn't get the attention they needed and died, though the weeds were pretty cheerful. I ended up paying for gardeners to come in and help me. The overgrown French Beans event prompted me to start blogging a new meme: Gardening with ME. 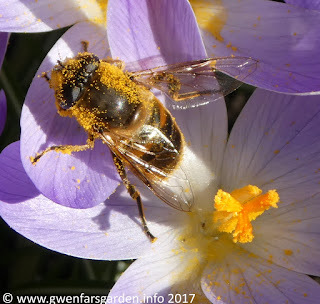 I was beginning to accept that the illness was making growing difficult, so I thought this might help me rethink how I gardened. 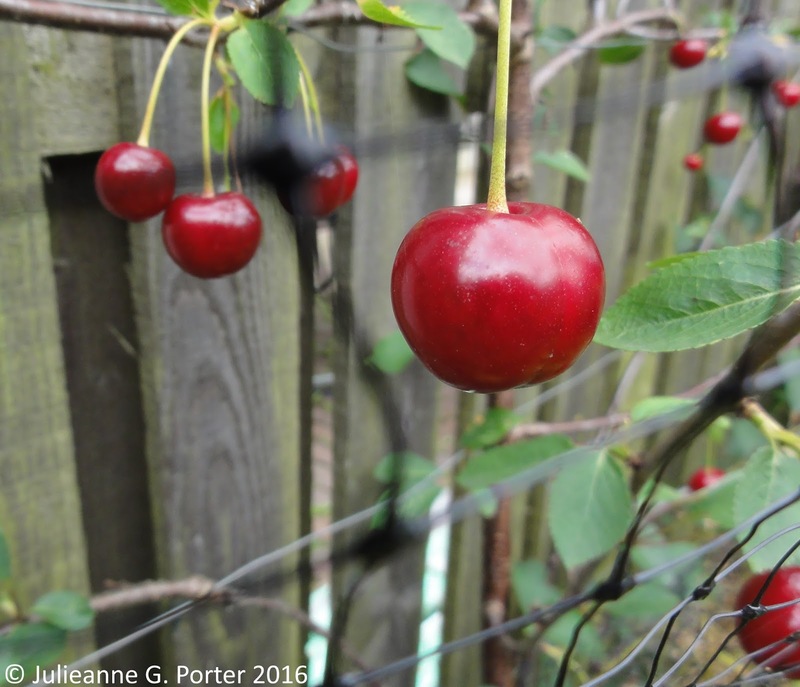 Over time, I found blogging about the challenges of growing food when you have a chronic illness helped me to come to terms with my illness to some degree. However, coming to terms with the impacts a chronic illness has on your life takes time, and it wasn't until later 2015 that I realised that I had to give up growing much of the food I had been trying to grow (and remember, this is only a small kitchen garden). I couldn't bare to give up gardening entirely. It was in my blood, my heart, and to stop gardening would be like giving up on life. I had to find a way forward, but how? Gardening with ME had got me thinking about different ways of growing. I now questioned, could you still grow your own when you have a chronic illness? The answer to this has been yes, but within limits. From this arose a second meme: Spoonie Veg. Spoonie Veg looks at the best veg, fruit, herbs to grow when you have limited spoons (energy). I decided to think about what veg I loved and could get a reasonable yield from. So yes, I grow some perennial edibles, such as sorrel and strawberries, which require few spoons to grow for the harvest you yield. There are a lot more perennials I could grow, but you have to grow food you like! Broad beans were in, as was garlic. The former because I adore them and it's something very hard to get fresh from the supermarkets (pleasure, after all, is a type of yield). 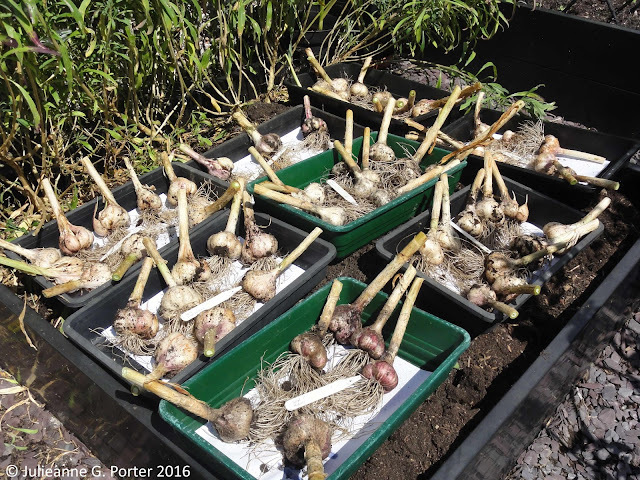 The latter because you get a great yield per clove, and because I want to continue growing a selection of unusual varieties of garlic that I've been growing and saving for more than six years. Out is brassicas, which require a lot of attention and management, more spoons needed than I could manage. I suppose you could say I have found a kind of solution to the problem of gardening with ME. Whilst I have managed to make the most of the situation, by not listening to my body, just my heart, I designed a garden that wasn't, in the end, suitable to my needs. What learning points can I take with me when undertaking designs in the future? Well, putting in the rainwater collection tank earlier probably would have stopped the waterlogging problem! And it would have saved water, both as a resource and a cost, much sooner. I should also consider including running some irrigation into key growing beds from the rainwater tank in a future design. This would have saved energy, all those heavy trips with the watering can. But the big learning point is a really difficult one. Difficult, because it means standing back from what you want, and looking at what you need, which are often very different things. Difficult also, because accepting you have a chronic illness means changing how you live. I wanted a bounteous harvest, but I didn't have the health to get there or maintain it. What I now know is that I needed a different garden from the one I designed. It should have been a place to rest and allow my body to breathe. 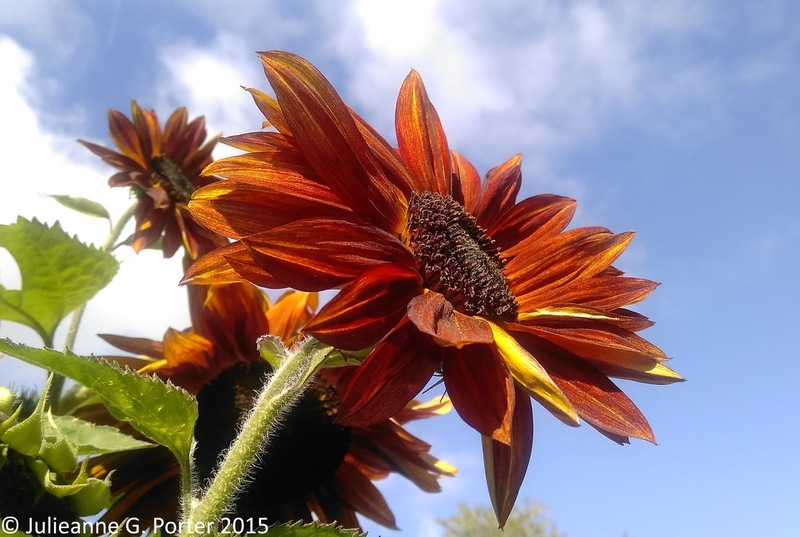 Whilst I have found a way to work around the problem, gardening with ME and focusing on Spoonie Veg, I went through a lot of stress and angst over a couple of years trying to maintain what at the moment, is an impossible dream. The biggest learning point? It cannot be emphasise enough: the importance of listening to your body. As a permaculture designer I have learnt the hard way, the importance of living and designing, realistically in the now. I am leaving this garden, proud of what I have achieved despite the circumstances. For my next design, I know that the aims of design must be achievable. And it must also be honest. Good luck with your new garden. It's a shame that you won't benefit from the fruit trees that you planted. Good heavens, what a lot you accomplished in such a short time. Good luck with the next one. It's a positive time to move; I've been watching your pots of plants piling up - it should do really well! It must feel like such a wrench, regardless of what the new owners have said. But if nothing else, then given how good this garden was—even if your needs changed since you originally designed it—then I can't help but feel your next garden will be AMAZING. Best wishes, and see you at the weekend. Hi It's so lovely to read your blog. I found it through Thompson & Morgan - we're both featured in the same blog!! I have Fibromyalgia and have faced very similar challenges to you in terms of having the same limiting factors. I'd love to chat with you sometime! Best wished for your new garden.